Here at Layer 7 we get asked a lot about our support for REST. We actually have a lot to offer to secure, monitor and manage REST-style transactions. The truth is, although we really like SOAP and XML here at Layer 7, we also really like REST and alternative data encapsulations like JSON. We use both REST and JSON all the time in our own development. This is just about as simple as a policy can get. 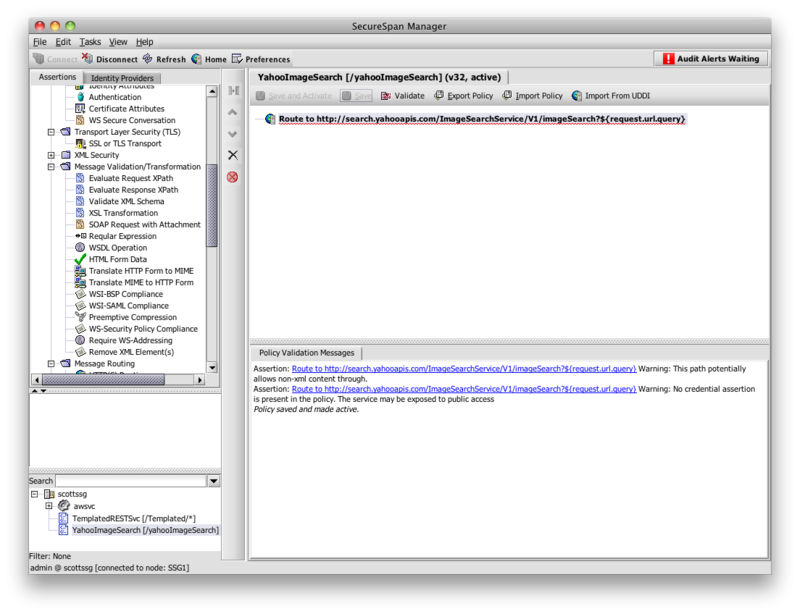 Notice that the policy validator is warning me about a few potential issues. 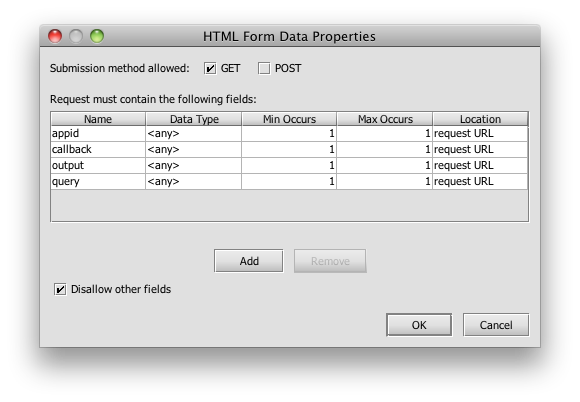 It’s pointing out that the transaction will pass arbitrary content, not just XML. Because I’m expecting JSON formatted data in the response, this is the behavior I expect. The validation is also warning me that this policy has no authentication at all, leaving the service open to general, anonymous access. We’ll address this in the next step. If need be, I could easily add wild card characters here to cover a range of incoming URLs. 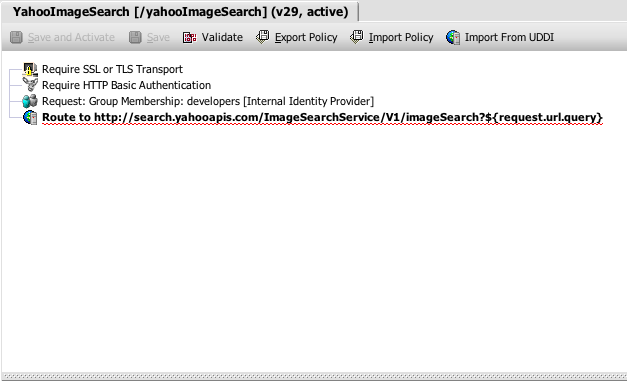 For this demonstration, I’m just running a virtual SecureSpan Gateway here on my Macbook; it’s not actually residing in the Yahoo DMZ, as would be the case in a real deployment. But from the perspective of an administrator building policy, the process is exactly the same regardless of where the gateway lives. which I’ve truncated a lot because the actual list spans thousands of characters. The Yahoo tutorial must be fairly old; when it was written, there were only 631,000 pictures of the Material Girl. Clearly, her popularity continues unabated. HTTP basic authentication isn’t very sophisticated, so we could easily swap this out and implement pretty much anything else, including certificate authentication, Kerberos, SAML, or whatever satisfies our security requirements. My colleague here at Layer 7, Francois Lascelles, recently wrote an excellent blog post exploring some of the issues associated with REST authentication schemes. Depending on my security requirements, I could also be rigorous with parameter values using regular expressions as a filter. I’ll leave that as an exercise for the reader. Still can’t get over how many pictures of Madonna there are. So where can we go from here? Well, I would think about optimization of the policy. 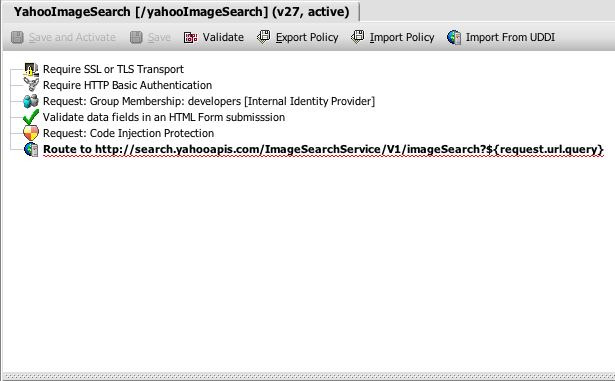 Depending on predicted loads and available hardware, we might want to check for code injection and validate the schema before performing authentication, which in the real world would likely call out to an LDAP directory. After all, if we are being fed garbage, there’s no sense in propagating this load to the directory. 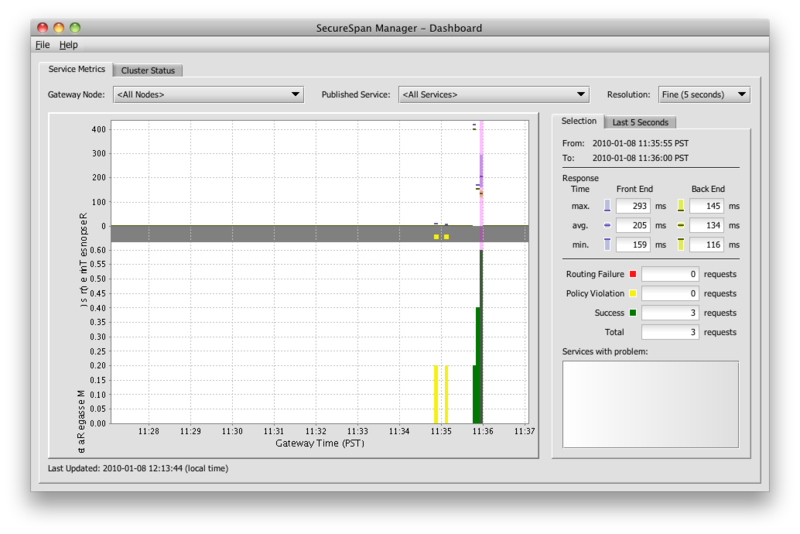 We can add SLA constraints across the service to insulate back end hosts from traffic bursts. 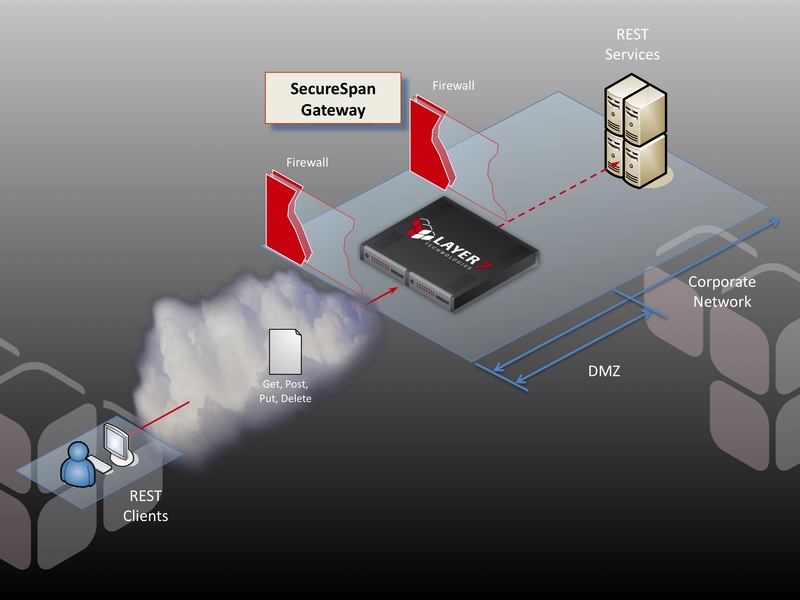 We could also provide basic load distribution across a farm of multiple service hosts. We might aggregate data from several back-end services using lightweight orchestration, effectively creating new meta-services from existing components. 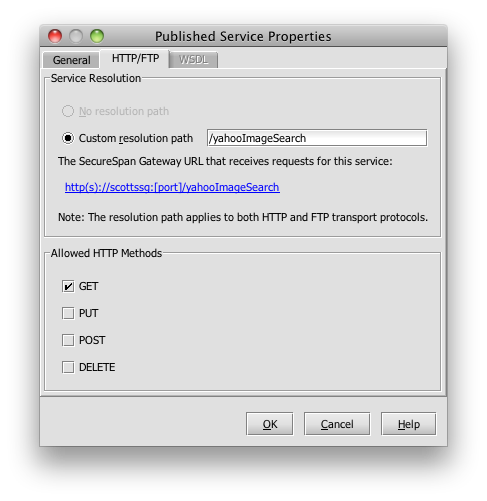 SecureSpan Gateways provide over 100 assertions that can do just about anything want to an HTTP transaction, regardless of whether it contains XML or JSON data. 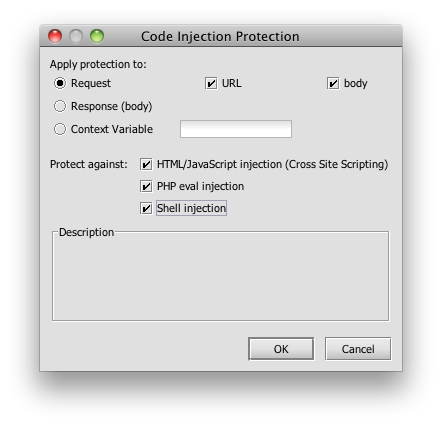 You can also develop custom assertions which plug into the system and implement new functionality that might be unique to your situation. Remember: when you are an intermediate, standing in the middle between a client and a service–as is the case with any SecureSpan Gateway–you have complete control over the transaction, and ultimately the use of the service itself. This has implications that go far beyond simple security, access control, and monitoring.